Cocaine is a highly addictive drug whose effects on the body and mind are instantaneous with use. Once someone becomes addicted to the drug, it can be incredibly difficult to break free without specialized help. Recent statistics show that cocaine use and abuse has become a growing problem in Palm Beach, Florida. 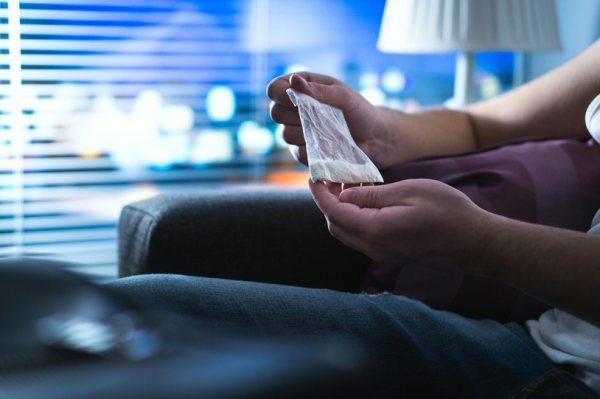 There are serious risks associated with cocaine use, but those who suffer from a cocaine use disorder can also get help at a Florida drug rehab. What Are the Rates of Cocaine Use and Abuse in Palm Beach? Deaths related to cocaine use in both Florida and Palm Beach County have been steadily increasing since 2013. There was a 21 percent increase in cocaine-related deaths in Florida between 2015 and 2016. The state medical examiner’s office projected 2,228 occurrences in just the first half of 2016. Of the cases in 2016, it was estimated that cocaine was the primary cause of death in over half (56 percent). In Palm Beach County, deaths related to cocaine jumped 84 percent between 2015 and 2016. Of the cocaine-related deaths in this county in 2016, two-thirds (67 percent) listed the drug as the primary cause of death. From this latest data available, 21 percent of decedents were ages 18-25, 27 percent were ages 26-34, 31 percent were ages 35-50, and 20 percent were over the age of 50. In 2016, 6,640 patients in Florida sought addiction treatment help for cocaine use disorder. Palm Beach County reported that there were 722 treatment admissions that year listing cocaine as the primary drug of abuse. Among those, 52 percent were female, and 57 percent were age 35 or older. Crack cocaine was listed as the preferred drug by 57 percent of these patients, and 37 percent indicated that smoking cocaine was a preferable route of administration. Why Is the Drug So Popular in This Area? In 2016, Palm Beach County had one of the highest rates of cocaine-related deaths of any county in the state. One of the primary reasons that cocaine is so popular in the Palm Beach area is because of polysubstance abuse. This means that the drug is being used alongside other drugs, primarily heroin and other opioids. Over the same period, Palm Beach also had one of the highest rates of heroin-related deaths in the state. In Palm Beach County in 2016, polydrug use was considered a factor in 89 percent of deaths related to cocaine. When people use cocaine, they may either intentionally or unintentionally ingest other substances. Non-pharmaceutical fentanyl-adulterated cocaine has become a primary factor in the rise of cocaine-related overdose deaths. A review of deaths in Florida related to cocaine use revealed that 32 percent also used morphine. Other common substances found were alcohol (31 percent), fentanyl (25 percent), and alprazolam (21 percent). These terrifying statistics are proof that using cocaine, either by itself or in combination with other drugs, can lead to devastating consequences. If you or any of your loved ones are struggling with cocaine addiction, a Florida drug rehab can help. What Are the Risks Associated with Cocaine Abuse? Cocaine, which is classified as a stimulant, is ingested in a variety of ways. The drug can be snorted, smoked, inhaled, and injected. No matter how a person chooses to administer the substance, it will instantly boost the available levels of dopamine in the brain, producing a rush and a euphoric high. The effects of cocaine are short-lived, meaning that the user will feel the need to repeat the process relatively soon. This repetition can quickly lead to higher tolerance levels and dependence. It does not take many experiences with cocaine to become addicted to the substance. There are also some serious risks associated with cocaine abuse. Mixing other drugs with cocaine, referred to as polysubstance use, also particularly dangerous. Combining cocaine and heroin, known as speedball use, is a combination that led to the overdose deaths of entertainers like Chris Farley, River Phoenix, and John Belushi. Drug users may believe that they are “tailoring” their effects by skillfully combining drugs when this is really just a dangerous version of Russian roulette. Often, those who mix drugs either do not know what they are getting or are too impaired to keep track of the various substances that they are putting in their body. If you or someone you care about is struggling with cocaine addiction in Palm Beach, this is difficult to overcome without help. Fortunately, Florida addiction treatment programs that understand cocaine use disorder is available. At The Recovery Village, our Florida drug rehab offers caring and compassionate substance abuse services. The cravings that accompany cocaine withdrawal can be intense, and our clients have access to our medical detox services. Treatment can then take place on several levels depending on your needs and circumstances. Contact us now to speak with one of our addiction specialists about how you can put cocaine addiction behind you and begin your future in recovery.